Figure 2 of Querques, Mol Vis 2009; 15:2960-2972. Figure 2. Electropherograms of the three novel BEST1 mutations. 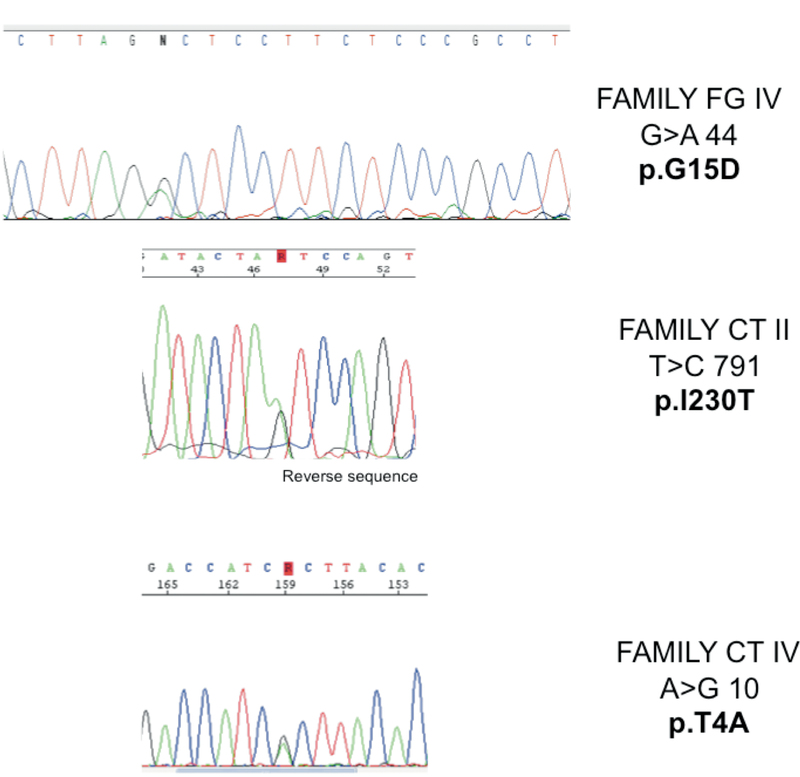 These electrophoregrams show an heterozygous peak GA at position 44 responsible for a p.G15D mutation in family FG IV, an heterozygous peak TC at position 791 responsible for a p.I230T mutation in family CT II, and an heteozygous peak AG at position 10 responsible for a p.T4A mutation in family CT IV.